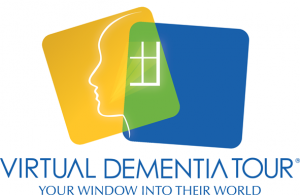 The Virtual Dementia Tour® is a scientifically proven method of building a greater understanding of dementia through the use of patented sensory tools and instruction. Created by P.K. Beville, M.S., an award-winning geriatric specialist and founder of Second Wind Dreams®, Inc., proceeds from the sale of Virtual Dementia Tour support the work of Second Wind Dreams, an international, nonprofit organization recognized as the first in the nation committed to changing the perception of aging through the fulfillment of dreams for elders. Has been experienced by more than an estimated two million people in 20 countries. Is evidence-based and studied across cultures and time with consistent results across variables and outcomes. Has been implemented in over 1,000 healthcare facilities in the United States, Canada, UK, Israel and other countries around the world. Is used in more than 200 colleges and universities as an adjunct to existing curriculum. Meets and exceeds the federal government mandate that requires additional training for every healthcare entity providing care to those with memory impairments. An estimated 47 million people worldwide, including over 5 million Americans, are living with dementia. Alzheimer’s disease is the 6th leading cause of death in the United States and the only one without a cure. In 2015, Alzheimer’s and other dementias will cost the nation $226 billion. Second Wind Dreams™ is an internationally known nonprofit organization changing the perception of aging through the fulfillment of dreams. Founded in 1997 by award-winning geriatric specialist, P.K. 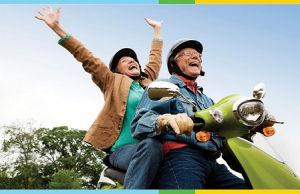 Beville, the organization is recognized as the first in the United States to focus on enhancing the quality of life for elders and changing society’s perception of seniors by making dreams come true. Through the Dreams Program, the organization helps more people realize that everyone, no matter what their age, has unrealized hopes and aspirations. This changes the perception and experience of aging, empowering elders to age with dignity, hope and joy. 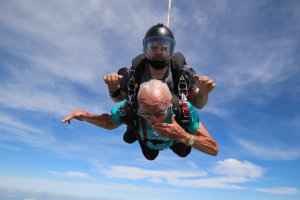 Affiliated with more than 1,000 elder care communities across the country, Second Wind Dreams has made dreams come true for seniors living in the United States, Canada, United Kingdom, Israel and other countries around the world. 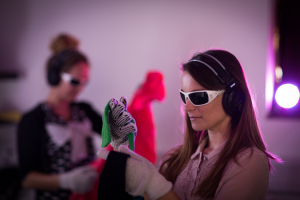 Second Wind Dreams’ commitment to changing the perception of aging also extends to increasing sensitivity toward those with Alzheimer’s disease and related dementias.